A huge welcome to my little bit of blogland! Today I would like to share with you my 1st project for the Tsunami Rose Designs Crafts and more DT. 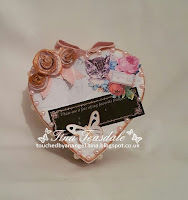 This team is one of two design teams for Tsunami Rose and has been put together to show just how versitile the TR printables are and I am delighted to have been asked to join them. I have altered a mach'e box and hope that you like it! 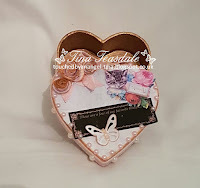 For my 1st project this month I have altered a mache heart box. Firstly I painted the inside of the box with metaIic gold paint, I then cut down a page for the initial cover then added some lace and ribbon to the base and the lid. 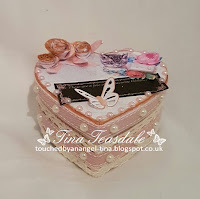 I used the ' these are a few of my favourite things' sentiment on the lid and fussy cut the wee Kitty to use on the lid. 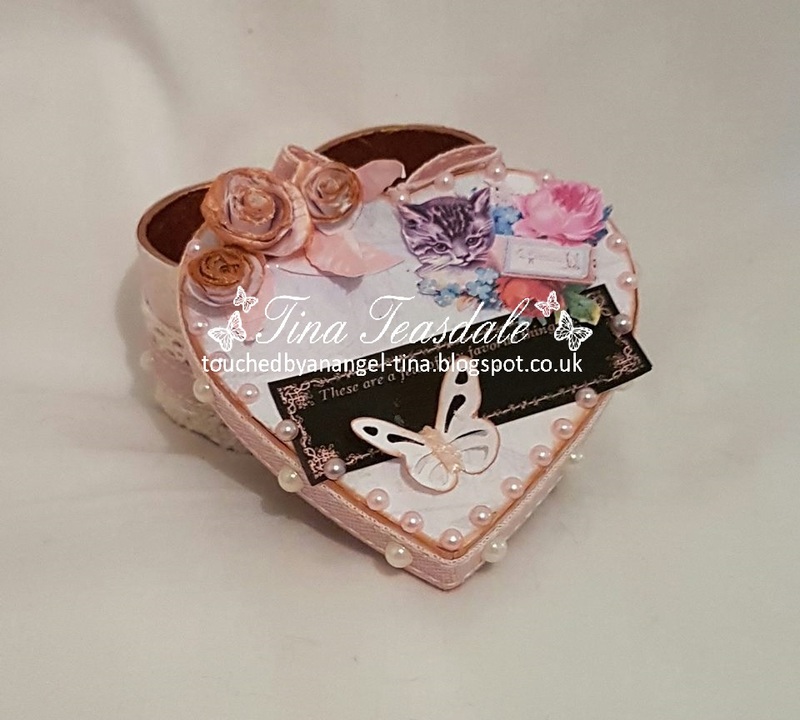 The little bud roses are made from the same paper used on the lid by rough tearing a spiral, rolling them up and letting them ping open securing them with a little PVA glue and inked . The little butterfly has been punched from the same paper used on the lid and inked. 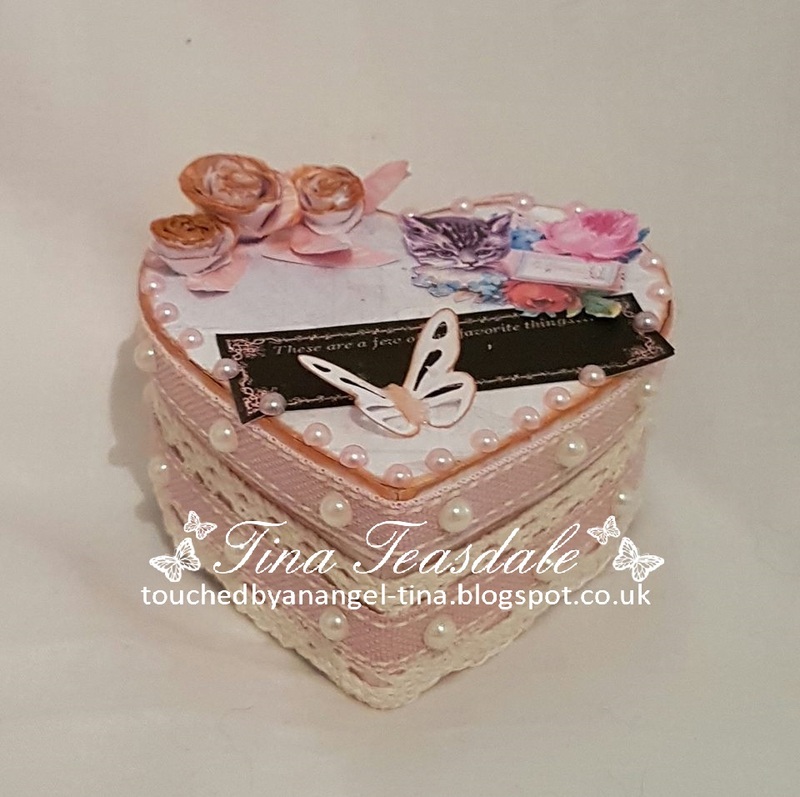 A little liqud pearls to the centre of the butterfly and to finish the project I have added 3mm pale pink pearls to the lid and 4mm ivory pearls on the base and a bow to the centre of the lid at the back. Please do pop over to the grous and have a look at the gorgeous creations and inspiration there. 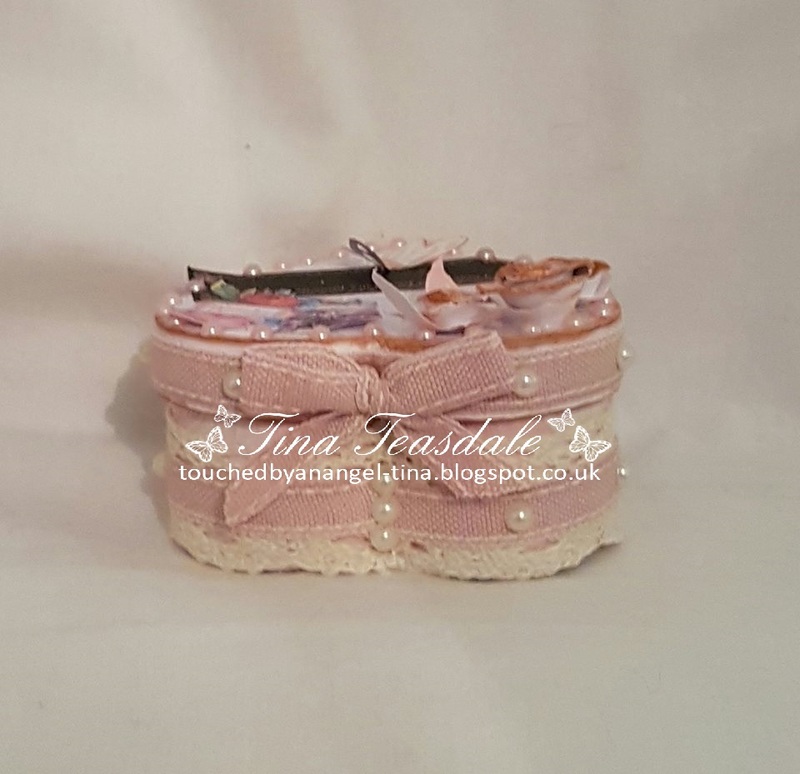 Not forgetting the shop where you truly will be spoilt for choice and finally the youtube channel where you will find demos and much much more. 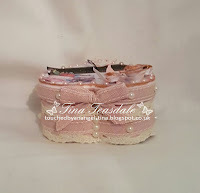 This is fabulous Tina, love the lace and beautiful design.